I'm writing from the little table in the computer room at home. Yes - we made it! 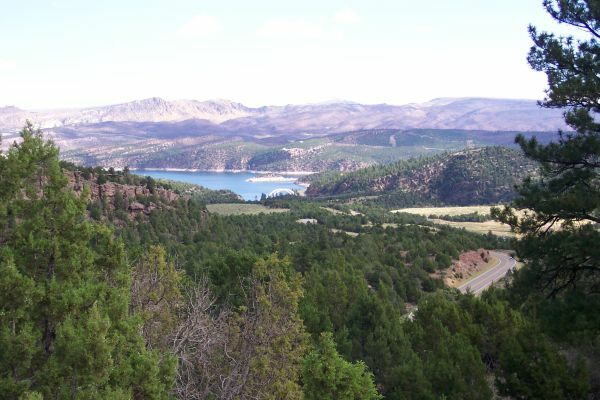 Within a few miles from Manila we started seeing some of the spectacular scenery of the Flaming Gorge area. 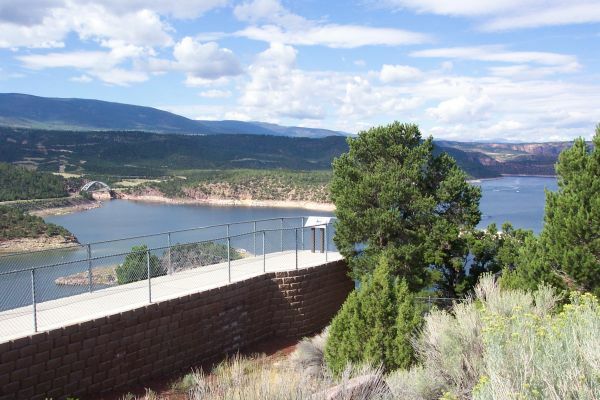 We stopped at an overlook and took pictures of one of the "classic" Flaming Gorge vistas [Map Point #2]. Dad was out of film from then on. 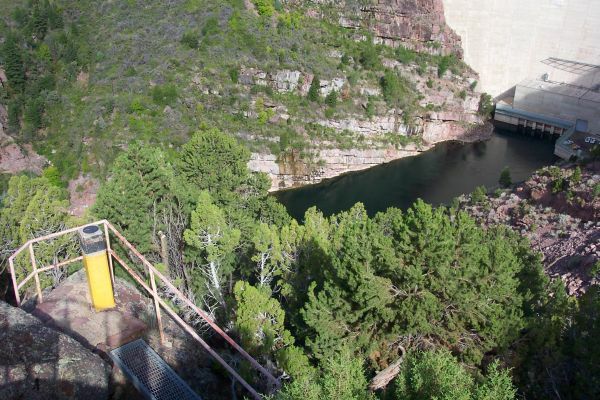 We rode up into the trees and eventually took the detour on US 191 to see the Flaming Gorge Dam [Map Point #3] from a couple of different overlooks. 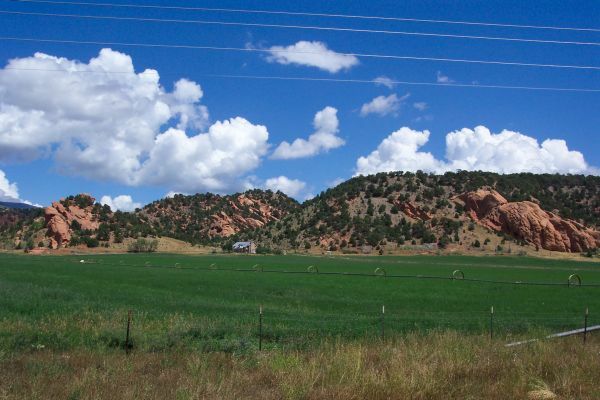 Dad was impressed by the whole area, including the colorful rocky scenery coming down out of the Uintas toward Vernal [Map Point #5]. I put off stopping for gas, and my bike went on REServe as we entered Roosevelt. Filling up there ensured that I could get the rest of the way home. 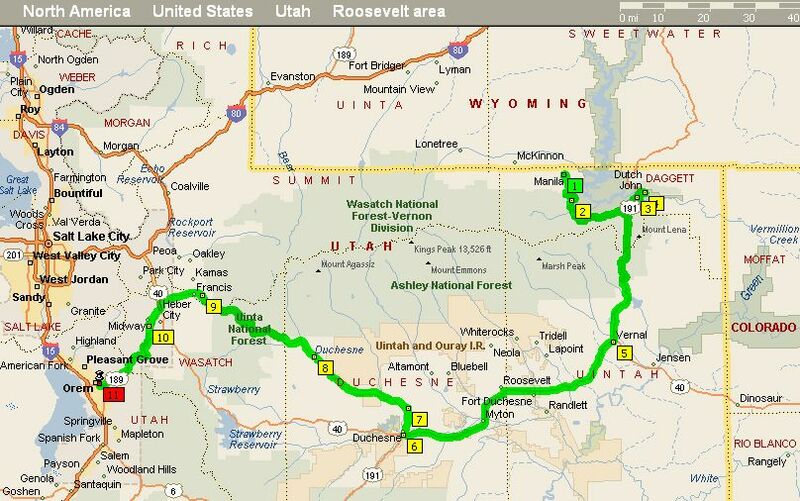 We continued west on US 40 and stopped at the Information Center in Duchesne [Map Point #6]. One of the older women I have spoken with before (Florence ? ) helped us out and loaded us up with maps. Then I took Dad home via Tabiona [Map Point #8] and Francis [Map Point #9], the Jordanelle Dam, Midway [Map Point #10], Deer Creek Reservoir and Provo Canyon. Except for "the race" down Provo Canyon, he later said that today's scenery ranked right up there with the best of the whole trip. We got home about 3:00 and Dad went right to work on the power steering problem on his van. He got the part out, examined it, and didn't find any obvious problems. He eventually spotted a flattened-looking O-ring, and we went to Checker to buy a replacement and some automatic transmission fluid. He got it all back together and tightened it so the leak disappeared. So instead of having to wait until Monday to have special work done on the part, he was able to pack up and leave for Moab at about 7:00. 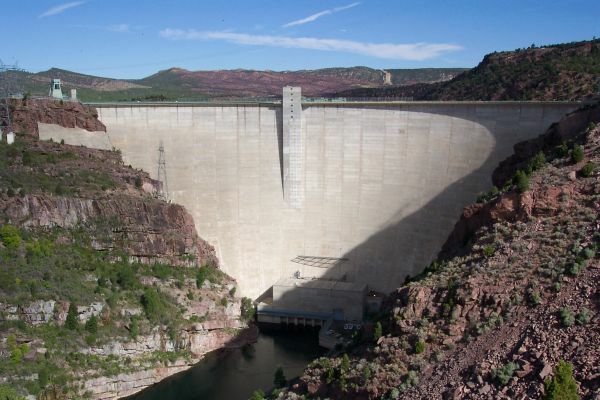 Mom had already arrived [in Moab] at 2:00, having driven our Pontiac LeMans to Cove Fort to pick up Bro. Osbourne this morning. Layna & Jimmy were actually in the Salt Lake valley for a Republican convention today, so I hope everyone got all reassembled OK! After Dad left, Sue and I made some dinner and watched several episodes of "As Time Goes By". We sang a hymn and read part of 1 Nephi 17 before "giving up" for the night; I was falling asleep! PS - Dad and I went a total of about 3,250 miles in 10 riding days: 8 nights in tents, 1 in a KOA Kabin.